In September 2015, world leaders adopted the 2030 Agenda for Sustainable Development, which includes a set of 17 Sustainable Development Goals(SDGs) to end poverty, fight inequality and injustice, and tackle climate change by 2030. The SDGs build on the Millennium Development Goals(MDGs), eight anti-poverty targets that the world committed to achieve by 2015. The Global Goals serve as an urgent mandate for AFS’s advocacy work for global citizenship education — and our efforts to prepare and empower active global citizens determined to tackle social impact projects outlined in the SDGs. We believe that effective global citizens require intercultural knowledge, skills and understanding as a prerequisite to live, work and collaborate in all types of cultural settings. The AFS International Board of Trustees is committed to supporting the Sustainable Development Goals and believes AFSers provide a unique set of skills as leaders, workers and volunteers in the types of social impact projects outlined in the Global Goals. AFS Connect’s Senior Writer Milena Miladinovic interviewed two Trustees about specific SDGs of significant concern to AFS. A key component of global citizenship education is reinforcing everyone’s commitment to protecting our resources on planet Earth and keeping our environment healthy for all living things. AFS volunteer care deeply for sustainability and work on helping AFS become a more green organization. 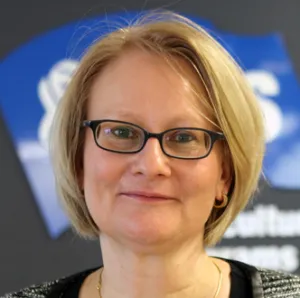 A sound approach to sustainable development ensures a better future for all and supports the AFS mission, which is why Connect interviewed AFS International Board of Trustees member Sibyl Anwander, Head of Economics and Innovation at the Swiss Federal Office for the Environment. Connect: What are the major sustainable development projects on your radar? Sybil: Switzerland has built up the world’s largest and transparent database for Lifecycle Assessments. Our office contributes financial support to maintain this service as a base for assessing and comparing goods and services worldwide with regard to their ecological footprint. This knowledge is used by many governments for political decisions, by companies to improve their goods or assortment and also for consumers and organizations to make better and informed choices. A better understanding of the hotspots in the lifecycle of products helps to make the right decisions and to focus measures on the most relevant points. Agriculture and nutrition contribute to one third of the world ecological footprint. Around 70% of the Swiss ecological footprint takes place outside Switzerland over the import of food, feed and fibers. By reducing food waste, helping consumers, retailers and restaurants making better choices and by improving agricultural practices in Switzerland and especially abroad we can have a big impact. Connect: What do you think will make a positive difference in sustainable and green development in the next five years? Sibyl: Unlike previous international goals, the recently defined Sustainable Development Goals are not restricted to emerging and developing countries, but should be a framework for sustainable development in all countries, rich and poor. The achievement of these goals is not only a task and the responsibility of the governments, but should guide the activities of businesses and non-governmental organizations like AFS. I strongly believe that this framework can make the difference and help humanity address global and local problems together, by sharing experiences, by supporting weaker members in achieving their goals and inciting stronger actors to take their share of responsibility. Caring for our common and limited resources is a precondition for a just and peaceful world. Without access to basic needs like clean water, sufficient and safe food and protection from natural risks and disasters people will leave their countries or fight for their needs. Both developments are undesirable — there is no other way than to accept the limits of this one and only planet, to use our brains as the only unlimited resource and to develop more sustainable consumption systems especially in the three major fields: agriculture and nutrition, construction and dwelling, and mobility. The importance of the challenges is well known, the technical solutions are mostly available and there is enough money to finance this transition — let’s just do it! Connect: What are the main challenges that environmentalists face today? And what is the role of AFSers and other global citizens in this field? Sibyl: Many environmental challenges like climate change and the eutrophication [enrichment of an ecosystem with chemical nutrients] or loss of biodiversity of the oceans are invisible to consumers, especially in industrialized countries. These issues are often seen as future challenges or problems that occur far away from the consumers. If people do not see and experience the impact of their decisions, they often do not feel responsible or willing to change their behavior. Another big challenge is that prices do not reflect the scarcity of the natural resources, and do not include all the costs like health costs, or the costs of future rehabilitation after a chemical accident or landfill with waste. AFS programs like AFS Global Prep or the Summer Academy on Sustainability from an Intercultural Perspective empower AFS global citizens to help spread the word about the the effects of climate change, air pollution or deforestation — and use their intercultural skills to help make this information relevant based on the local and national realities of different countries. Global citizens engaged in international development seek long-term solutions to the world’s problems outlined so clearly in the UN Sustainable Development Goals. But ensuring the successful implementation of these ideas, practices and technologies requires that leaders, policy makers, workers and volunteers be more interculturally prepared than ever before. One of the notable champions of this viewpoint is J. Brian Atwood, a Senior Fellow at the Watson Institute for International and Public Affairs at Brown University where he teaches a class on the institutions that impact US foreign and development policies. 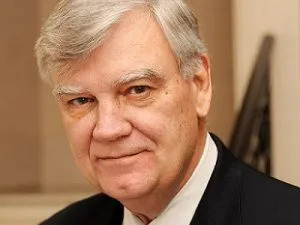 Brian is a former Chair and a current Member of the AFS Board of Trustees. Connect: The fields of international development and public affairs have constantly evolved over the past years. What are the primary differences in focus now and five or ten years ago, and why? Brian: Transnational issues like climate change, terrorism, pandemics, the trafficking of women and cyber-warfare must be combatted jointly. A few large nations exercise power in their regions and interests will often collide; yet cooperation is needed more than ever before. This will require professionals in foreign affairs work to separate narrower interests from global interests. That will not be easy, as national politics will intrude. Understanding other cultures and the politics that motivates leaders will be more needed than ever before. That’s why intercultural learning is no longer a luxury reserved for those who can afford it. Every citizen should be taught to understand and appreciate other cultures and other religions. Connect: For many, social impact is a trendy buzzword, but you have been involved in global social impact projects that have made a real difference. What do you see as the main challenges in international development today and why? 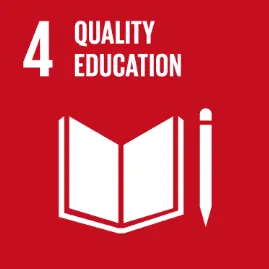 Brian: The Sustainable Development Goals developed by the United Nations are each distinct and will require sector expertise, for example, in the fields of education, healthcare, the environment, governance and family planning. The challenge will be to see how these goals are integrated, how achieving the education goal relates to the achievement of women’s empowerment, healthcare, the environment and family planning. Everything is connected to everything else. Poverty reduction is a major goal of development and extreme poverty has been halved since 2001. Eliminating it by 2030 will be even more difficult but it can be done. Governance is a key challenge. Well-governed societies will contribute more to development than will donor nations. However, official development assistance will continue to be strategically important especially in the most fragile states. Connect: What do you think about the role of volunteers in accomplishing the UN’s post-2015 Sustainable Development goals? Brian: Voluntarism is at the very center of a viable civil society. Governments can only do so much. Communities that thrive are communities that care for those in society that cannot care for themselves. Given the population increases we have experienced, every nation will be exposed to new immigrant cultures. These new members of society want to be respected and productive. The AFS spirit of voluntarism is more important than ever if our societies are going to prosper in the future. This article originally appeared in Connect: Intercultural Insights for Global Citizens — curated by AFS Intercultural Programs. AFS Programas Interculturales Venezuela es una organización internacional, de base voluntaria, no gubernamental y sin fines de lucro que brinda oportunidades de aprendizaje intercultural para ayudar a las personas en el desarrollo de sus conocimientos, habilidades y entendimiento para la creación de un mundo más justo y pacífico.